LTSC hosts 11th annual Sake and Food Tasting on First Street North. Little Tokyo Service Center held its 11th annual sake and food tasting event, “Sake at First Street North, Little Tokyo” on July 21. Over 800 guests enjoyed sake from various regions of Japan and delicious cuisine at First Street North, a historic block that LTSC deems critical to the future of the Little Tokyo neighborhood. 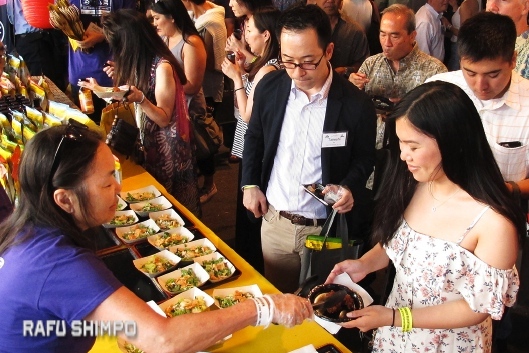 LTSC’s signature event raises funds for a broad array of the organization’s programs that promote “positive change for people and places.” This year’s event featured small plates from 15 top Los Angeles restaurants and over 50 types of sake. Among numerous contributors, U.S. Bank served as the event’s title sponsor. Mutual Trading Co., Inc. provided sake and spirits. LTSC chose First Street North as the location and theme this year to draw attention to an important community issue. Home to several iconic businesses and institutions, Little Tokyo’s First Street North block is now threatened by impending development. Approximately 3.5 open acres of First Street North are owned by the City of Los Angeles and could soon be up for sale. 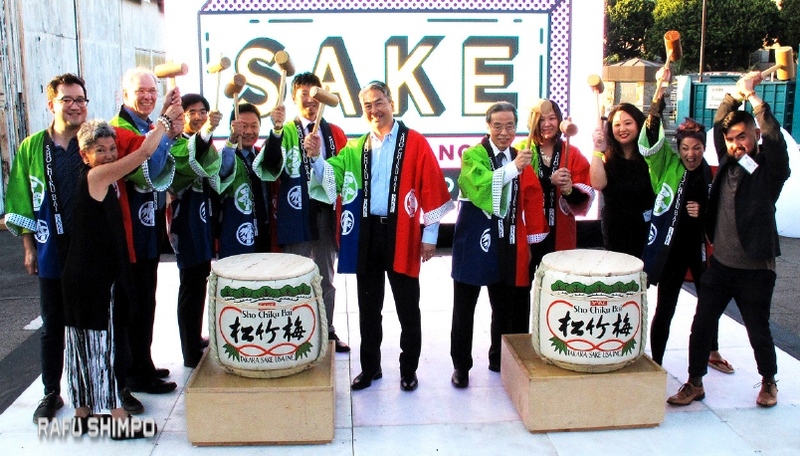 Through events like “Sake at First Street North, Little Tokyo,” LTSC and community allies seek to highlight the need to protect the block’s unique identity. LTSC is part of an ad hoc committee focused on the issue that includes: East West Players, Go For Broke National Education Center, Japanese American National Museum, Little Tokyo Community Council, Sustainable Little Tokyo, and Visual Communications as well as local residents and businesses. The event featured a multimedia installation to inspire guests to re-imagine First Street North. The installation was developed by +LAB, LTSC’s creative community development project. LTSC also acknowledged individuals and organizations known for supporting the organization’s work and a commitment to Los Angeles communities, including Mayor Eric Garcetti, Los Angeles County Supervisor Hilda Solis, NeighborWorks, and the Tuesday Night Project.